Two weeks ago I promised Angostura with mayonnaise. But somehow ice cream in August seems more appealing. Bitters with ice cream!? Try it, I think you’ll like it. 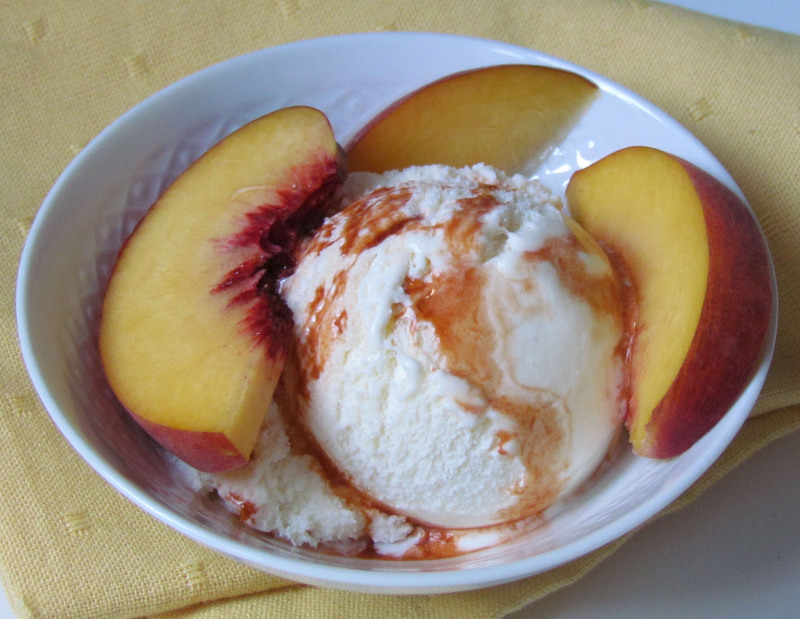 Just a drop or three over vanilla ice cream adds a whole new flavor dimension along with sliced fresh fruit. Many fruits work well, but especially peaches, nectarines, mango, pineapple, and papaya. No fruit on hand? Go it alone with just a little splash of Angostura. It’s very tasty on chocolate or coffee ice cream. Curious? Angostura aromatic bitters was developed in 1824 by German doctor Johann Siegert as a digestive for Venezuelan soldiers. Siegert moved to Trinidad and eventually introduced Angostura to England, where it was so well received in beverages, that it took off like wildfire. Still produced in Trinidad from tropical herbs and plants, Angostura is widely used throughout the world — mostly in cocktails. Disclosure: Yes, I develop recipes for my Angostura client. But I’m not paid to brag about how much I like using it with food. I just can’t help myself. Thanks, Suzanne. Hope it entices folks to try Angostura with ice cream. Love this idea — I will definitely try it! Please let me know when you try it, Jennie. I’d like to hear what you think. That sounds so interesting! I may even try a little Campari! So, Angostura and Campari? An ice cream cocktail!